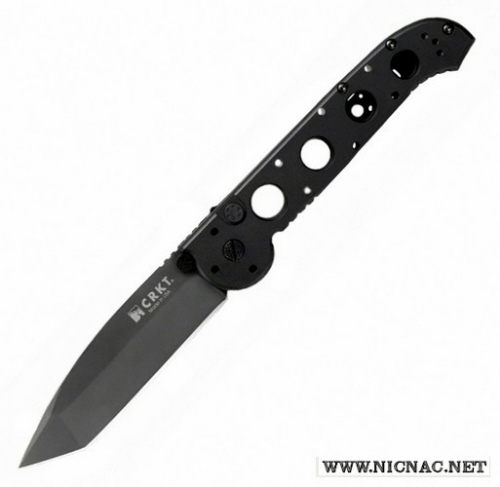 CRKT Carson M-16 Automatic Knife M16-04A USA black plain, Teflon bearing as blade pivot is sure to please with this black DLC coated tanto blade. Overall length is 9.25 inches with a 4 inch blade. Right/Left hand pocket clip. Made in the USA!